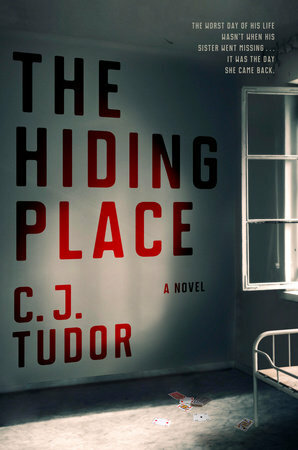 It’s not every day you get to ask one of your favorite authors your most pressing questions about their work, and I had so much fun learning a bit more about THE HIDING PLACE through C.J.’s insightful responses to my questions. I couldn’t be more excited to share this behind-the-scenes peek into what’s sure to be one of my favorite reads of the year with you! In this Q&A, C.J. and I cover everything from the inspiration behind THE HIDING PLACE to the characters (and locations!) at its core to C.J.’s next project - and a whole lot more. Many thanks to C.J. for taking the time to answer my questions, and to her publisher for facilitating this Q&A. Read on for the book’s plot details, a snippet from my review of THE HIDING PLACE, and a fantastic conversation with C.J. Tudor herself! Crime by the Book: First things first - thank you so much for stopping by Crime by the Book to give us a behind-the-scenes glimpse into your new suspense novel, THE HIDING PLACE! To kick things off, can you give us a quick synopsis for the book, in your own words? C.J. Tudor: Thanks so much for having me! The Hiding Place is another very dark, creepy thriller. It’s set in a small mining village in the north of England. Joe Thorne grew up in the village. When he was fifteen, his little sister, Annie, disappeared. At the time, Joe thought it was the worst thing that could ever happen. And then Annie came back. Twenty-five years later, a brutal murder and mysterious message bring Joe back to the village of Arnhill. Not just to find answers. Joe has bad debts – and bad people - he needs to escape. But coming back to the place he grew up, means facing the people he grew up with. The ones who were there the night Annie disappeared. The only ones who know what really lies beneath the abandoned mine. Joe is about to discover that the deeper you dig, the darker the secrets. And sometimes, you should never come back. CBTB: When did you first come up with the idea for THE HIDING PLACE? Was the concept developed over a period of time, or did it come to you in a single identifiable moment? CJT: The inspiration for The Hiding Place came from the area where I used to live, in the north of England. Years ago, there were a lot of mines there. After they closed, the land was reclaimed. When I was a dog-walker, I used to walk around one of the old pit sites. Something about it always felt desolate, barren. I found myself thinking about what lay beneath the ground; tunnels, abandoned machinery . . . and maybe other things. CBTB: How would you describe the book’s protagonist, Joe Thorne, to someone meeting him for the first time? CJT: Probably a bit of a git! He’s snarky, morally ambiguous, pretty cutting about people. However, as the book progresses, we learn how his spiky character has been formed. Like Ed in The Chalk Man, he’s not exactly a hero character but I think he becomes more likable, or at least understandable, as we discover what happened to him. CBTB: Sense of place in THE HIDING PLACE felt hugely important to me as a reader; the town of Arnhill quickly began to feel as vivid and complex as any of the story’s characters. Why was it important to set this story against a backdrop with such a strong identity and personality? What did Arnhill itself contribute to the story? CJT: A lot. The setting was incredibly important and very personal to me. I went to senior school in a small pit village very much like Arnhill. It was probably less isolated but no less industrial and grim. Like Arnhill Academy, the school I attended was an under-achieving school. A lot of kids didn’t care about learning because they knew they’d simply go and work ‘down the pit’, like their dads. Sometimes, teachers just didn’t turn up for lessons. But there were also some inspirational teachers, like my English teacher, Mr Webster, who really encouraged my writing. The book is set during the time of the miner’s strike in the UK. I was at school during that period and saw first-hand how the strike tore communities apart. Many of those mining villages never recovered after the pits closed and became incredibly deprived. The theme of dying - the coal industry, communities, and people - and the question of whether you can ever get them back, is one that runs throughout the book, both metaphorically and more literally! CBTB: There are so many different layers of scares in store for the reader in THE HIDING PLACE—a fact about this book I absolutely loved! Without spoiling anything, can you share where you found inspiration for the darker threads of this story? CJT: Well, it’s no surprise that people have compared The Hiding Place to a well-known Stephen King novel. I kind of expected that to happen. But those themes have long held a macabre interest for me, ever since I first read The Monkey’s Paw (my favourite piece of short fiction). I like to think I play with them in a very different way, and the book is much more of a thriller than a horror story. The area where the novel is set, Nottinghamshire, is rife with caves. The whole idea of the mining tunnels disturbing ancient excavations was an idea that just grew. If you look into the history of many villages in the UK, you’ll find numerous tales of witchcraft. Oh, and I do love a creepy child in fiction. There’s something about children that can make them so sinister. Anyone who has ever woken up in the middle of the night to find their toddler standing by the side of their bed, just staring at them, will know what I mean! CBTB: Readers around the world (myself included!) fell head over heels for your debut, THE CHALK MAN, last year. What do you think THE HIDING PLACE has in common with THE CHALK MAN? How are the two different? CJT: Well, both have teachers as the main protagonist. We have perceptions about people in certain professions and I like to turn that on its head. Plus, I like writing about ordinary people in extraordinary situations. Both protagonists are somewhat complicated characters with some dark secrets. Both books tackle the subjects of bullying, childhood friendships and how things that happen as kids affect us as adults. However, The Hiding Place is altogether darker and grimmer than The Chalk Man. There are some very unpleasant characters, such as Gloria, the debt collector. Joe does not so much have old friends as old adversaries. And there is definitely a higher degree of creepiness. CJT: I always enjoy books that do something different with the genre. My Lovely Wife by Samantha Downing, coming out in March, is brilliant (Dexter meets Gone Girl). I also enjoyed The Last by Hannah Jameson (an apocalyptic murder mystery set in an abandoned hotel) and one of my favourites of last year was The Seven Deaths of Evelyn Hardcastle by Stu Turton (Agatha Christie meets Groundhog Day and Quantum Leap). CJT: I have just finished my third novel, THE OTHER PEOPLE. It’s a slight departure in that it isn’t written in first person but multiple third person narratives. It is also far more of a thriller than a creepy mystery. But it’s me, so obviously, it heads off on some weird tangents! 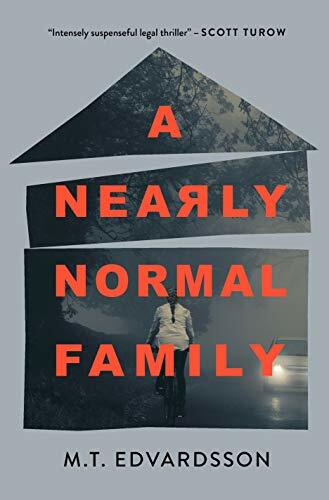 “Driving home one night, stuck behind a rusty old car, covered in bumper stickers, Gabe Forman sees a little girl’s face appear in the rear window. It’s his five-year-old daughter, Abbie. Three years later, Gabe spends his days and nights travelling up and down the motorway, searching for his daughter, refusing to give up hope, even though most people believe that Abbie is dead. Along the way, Gabe meets other night people such as the kind waitress who works in the cafe where he stops for coffee, and ‘the Samaritan’, a rather different type of night worker. The search also takes him to the darkest part of the internet. To a support group who call themselves ‘The Other People’ - because that’s what everyone thinks: bad stuff only ever happens to other people. The Other People know what loss is like. They know what pain is like. They know what death is like. Thank you so much to C.J. Tudor for answering my questions about her newest release! THE HIDING PLACE is on sale now - and comes highly recommended by yours truly!